Please join us on a journey through Himalayan wellness. During this program, you will engage with spiritual teachers from the vibrant Himalayan Hindu and Buddhist faiths, interact with master stone carvers and statue makers, experience the dynamism of indigenous Himalayan medicine, and walk through the beautiful foothills of the Himalayas. On our journey together, we will form a community based on a kind and mindful orientation towards ourselves and others. 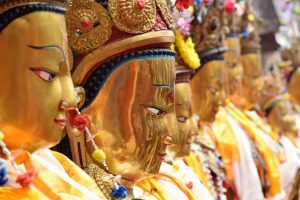 Our expert guides and teachers will help create this container and support you as you explore Nepali culture, spirituality, cuisine, landscape and medicine. As with all of our programs, this itinerary is imbued with a philosophy of ecological and social sustainability, making it supportive for everyone involved. Spiritual practice is at the core of Sacred Path’s mission. In turn, each day of this program will feature guided meditations, yoga and other movement practices, as well as informative lectures, discussions and activities that explore Himalayan Buddhist and Hindu traditions. These activities are aimed at deepening your relationship to yourself and those around you. 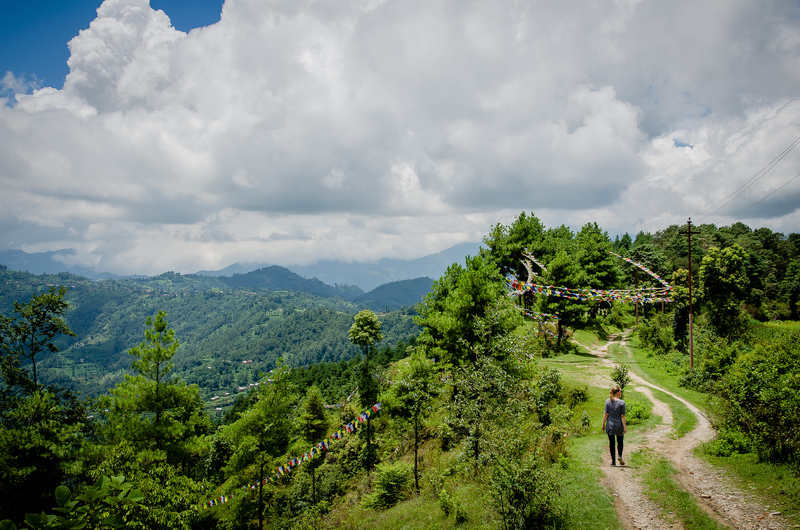 We will explore the Nepali landscape through day-hikes, interactions with local botanical experts, and unparalleled exposure to the diverse biosystems found in and around the Kathmandu Valley. 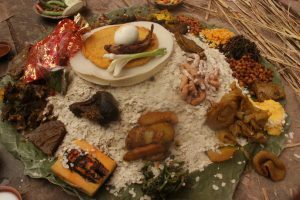 From the flatlands of the Nepali Terai to the mountain terrain of the Himalayas, Nepali cuisine is renowned for its diversity. We will not only be treated to authentic, delicious and healthy foods that are representative of these regions, but we will also learn how to cook this remarkable cuisine from expert chefs. We will encounter, observe, and have the opportunity to receive treatment from a variety of indigenous healers. The healing modalities employed in this region address both physical and mental wellbeing, transcending the dichotomies that exist in western medicine. For thousands of years, the Nepali people–especially those in the Kathmandu Valley–have been renowned for their artisan crafts. We will encounter master stone carvers, metal workers, and performance artists who will introduce us to their art forms. We will be invited to participate in movement activities such as hiking, yoga, and tai chi. These periods are intended to help us find balance and integration as we explore the dynamism of this region. The four locations we will visit--Namo Buddha, Boudhanath, Patan, and Pharping--are all imbued with a profound sense of spirit and community. Taken together, they represent a broad cross-slice of Nepali culture. Below are brief descriptions of the four locations and our activities at each. Set among the rolling foothills of the Himalayas southeast of Kathmandu city, Namo Buddha is the famed location where the Bodhisattva (Buddha-to-be) offered his physical body to a starving tigress and pups. This story reflects the deep commitment to generosity and care that pervades Himalayan culture. From our hill-top resort, we will orient ourselves to Kathmandu culture and ecology and get to know each another. 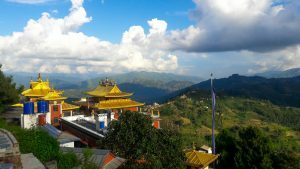 Our time here will include visits to local permaculture farms, seeing first-hand how crops are cultivated; hands-on lessons about Nepali cuisine; and an introduction to Himalayan Buddhism from senior teachers at Thrangu Tashi monastery. The intention is to immerse ourselves in the beautiful surroundings of Namo Buddha and allow our hearts to settle. 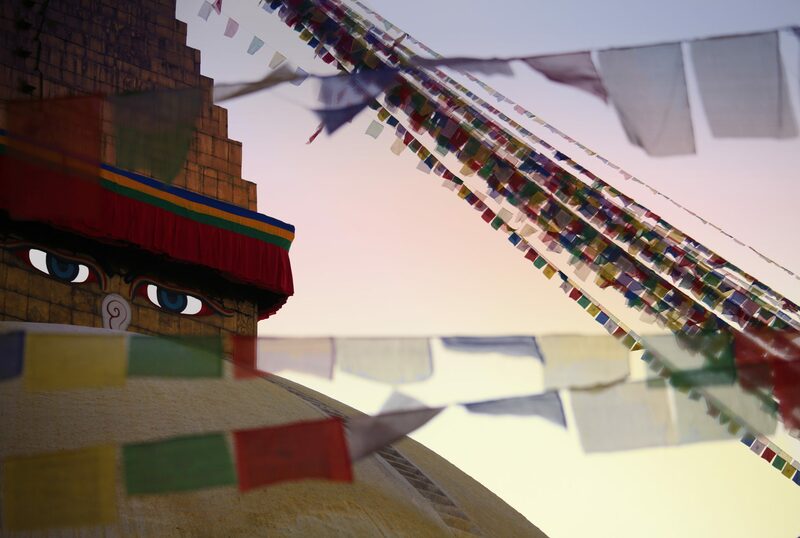 Considered over two thousand years old by locals, the Boudhanath Stupa has been visited by countless pilgrims. It is currently the most vibrant center for Himalayan culture in the Kathmandu Valley. Here, we explore Himalayan spirituality from the perspective of wellness and healing. Our time will include an overview of Himalayan medicine, interactions with senior doctors from the Shechen and Sowo Rigpa Clinics, and opportunities to observe and receive healing therapies. The intention is to transition our focus from our outer needs--the production and consumption of food--to inner wellbeing. There will also be opportunities for hiking to nearby monasteries and temples. 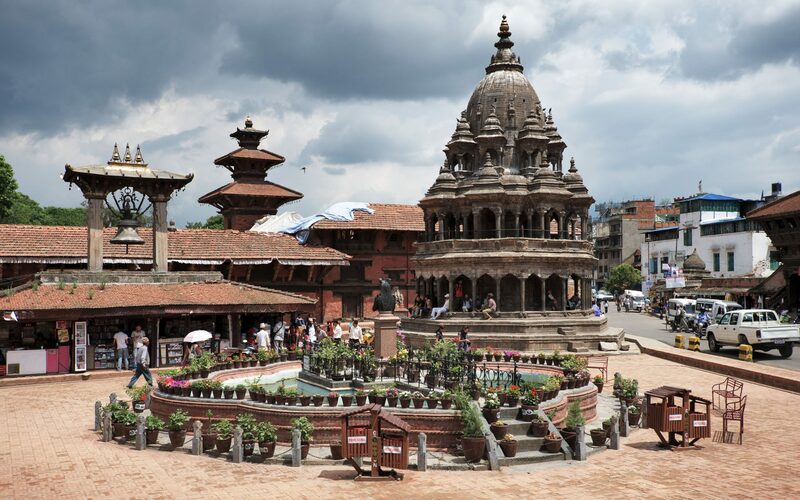 One of three historic capitals of Newari kingdoms in the Kathmandu valley, Patan is an architectural marvel. With actively used structures dating as far back as the twelfth century C.E., Patan provides a glimpse into the profound history of this region. Scattered among the temples are artisans of all kinds who employ the same methodologies used for hundreds of years. While here, we will engage with these masters to learn about their crafts first-hand, seeing the intricacies of their profound arts. We will also continue to explore the local cuisine, interacting with chefs and restauranteurs that specialize in the preserving traditional Nepali cooking. Set among the southeastern hills of the Kathmandu Valley, Pharping holds particular significance to Himalayan Buddhists. In the eighth century, Padmasambhava, widely considered to be the second Buddha, stayed here for a number of months, practicing esoteric forms of meditation. Since then, countless travelers and pilgrims have visited this location in search of the truth he found. Today, Pharping retains its quiet ambiance as it is well off the beaten path. 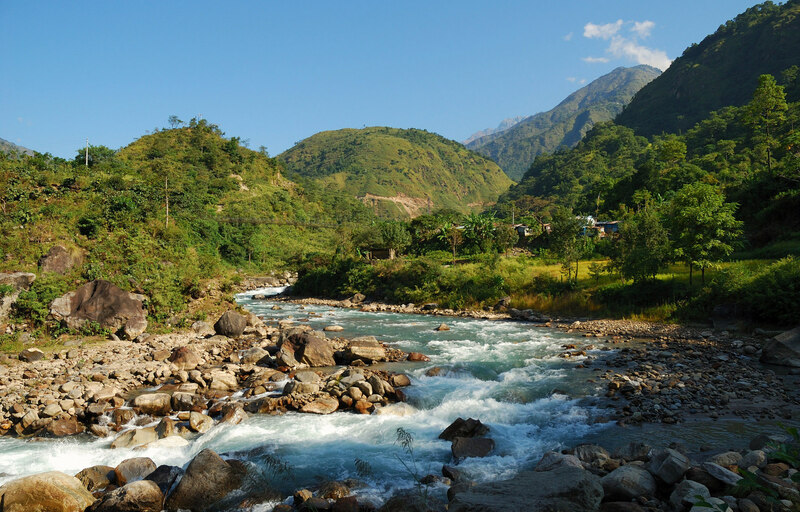 In addition to the historical significance, Pharping is surrounded by lush forests and wildlife, making it an ideal location to explore Himalayan landscape and spirituality together. Each member of our team brings deep expertise and profound life experience that will shape not only what you see but how you see it. From Stephanie’s knowledge of health coaching, to Sweta’s extensive experience in indigenous Himalayan medicine, to Adrian’s decade-long relationship with a master stone carver—to the entire group’s commitment to their own spiritual development—this team has every component of wellbeing covered. Sweta was born in the Kathmandu valley and calls the mountains of Nepal her home. 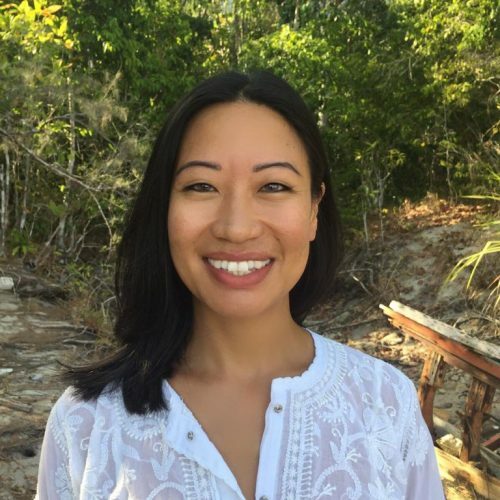 Drawn to traditional healing methods, Sweta is a Tibetan massage therapist and a student/ practitioner of Tibetan Buddhist philosophy, which she finds an important support in practicing the art of healing and well-being. Sweta has led semester study abroad programs for international students in Nepal, India and Tibet and is also a founder/ director of a Kathmandu based organization called Himalayan Crossroads that offers programs studying traditional healing practices in the Himalayas. Drawn first to the Himalayan region by an interest in Eastern mysticism, Adrian has made Nepal and India his home for over 20 years. 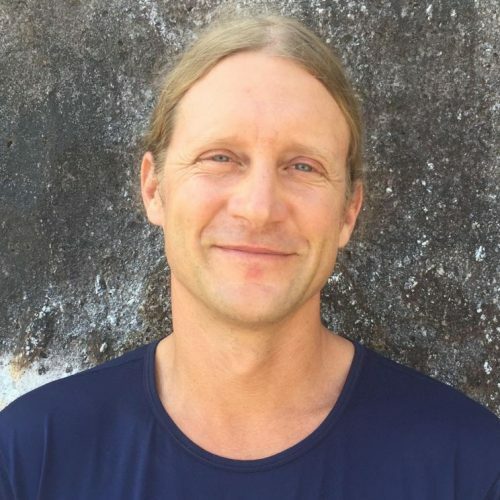 He has spent time studying as an apprentice stone carver, working as an English teacher, sitting in meditation retreats, and running transformational experiential education programs. Adrian loves to explore remote Himalayan valleys and villages, visit holy temples, and spend time in sacred places. He has spent much of his time in Asia sharing these places with students, having led numerous summer and semester programs through India, Nepal and Tibet. For all of the intrigue of the cultures and landscapes of the Himalayas, he is most grateful for having come into contact with Buddhist teachings and the universal values that emerge from finding the common ground between vastly different world views and cultures. Stephanie’s passion for holistic wellbeing started with an interest in meditation. This led her to study with some of the world’s most renowned teachers, including Yongey Mingyur Rinpoche, Tsoknyi Rinpoche, Sharon Salzberg, and Jetsun Khandro Rinpoche. Stephanie is inspired to bring the practice of meditation to as many people as possible, which is exemplified in her work as a facilitator within the Tergar Meditation Community and as a trainer with Healthy Minds Innovations, a non-profit started by acclaimed neuroscientist Richard Davidson. After several years of meditating, Stephanie’s interest expanded to the body. Specifically, she started to integrate awareness with the practices of mindful eating and movement, losing 80 pounds. Through this challenging exploration, she came to love physical activity! This has led her to study Himalayan yoga at Swami Rama Sadhaka Grama’s Ashram and earn her certification in group fitness instruction. Stephanie helps people engage in meaningful physical activity predicated on paying attention to the body. As an accredited health and well-being coach (NBC-HWC) and wellness educator with a master’s degree in Integrative Health and Well-Being Coaching, Stephanie helps people bring mindfulness into every aspect of their lives by cultivating awareness, resiliency and compassion for themselves and others. 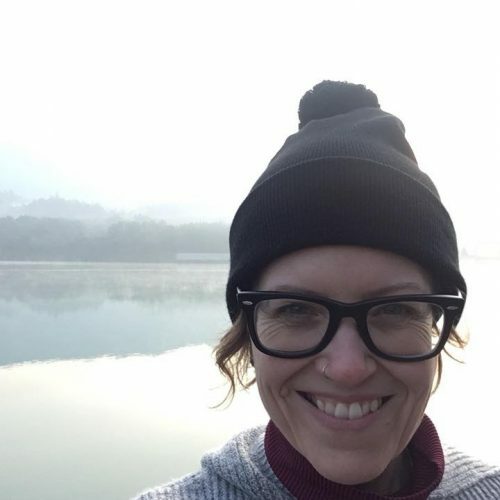 Stephanie’s years of practice in meditation, physical movement, mindful eating, and overall wellbeing make her the perfect person to guide you on this once-in-a-lifetime journey through Himalayan wellness. As with all Sacred Path programs, this program embraces the native environment and cultural surroundings participants will encounter in a way that enhances the experience of everyone involved. Furthermore, participants will engage in experiential learning processes that bring them closer into contact with themselves and their surroundings. Teaching: Both members of the program leadership, as well as local experts will provide information about the places and people we encounter. Contemplation/meditation: Each location will include periods of both guided and silent meditation, as well as various types of movement aimed at uniting one’s mind and body in the most healthy and productive way possible. Relational methods: In order to create a safe container for participants to engage in, teachers and guides will facilitate active-learning exercises, such as writing/journaling, small group work, interviews, and more. Often the stimuli of these locations can be overwhelming and the intention with these exercises is to provide spaces that help participants’ digest their experience. Day 1: When you arrive at the international airport, a member of our team will be there to pick you up and transport you to our hotel in Boudha where our journey begins. Believed to be over two thousand years old by locals, the Stupa is the center of spiritual and social life. In the evening, we will share in conversation and get to know each other a bit. If you are tired from you journey, you are welcome to rest as much as you need! 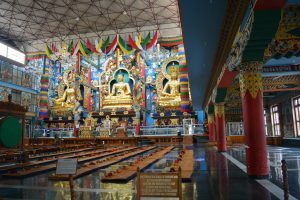 Day 2: Before venturing to Namo Buddha, about twenty miles outside the city, we will take a mindful walk around the Stupa. The times around sunrise and sunset are most vibrant as local people come to pray, make offerings, and catch up on the recent gossip. The waves of devotees form a sea of people circumambulating the large edifice in traditional fashion. After we spend some time soaking in the surroundings, we will return to the Guest House for breakfast and then head out. In the late morning, we will make the drive out to our resort near Namo Buddha. As we leave the city behind and begin to enter into agricultural lands, you will feel the energy change. Nepali culture is at its best in the countryside. After settling into the resort, we will engage in an afternoon of orientation. In the evening, we will join the monks at Thrangu Tashi Monastery to participate in their evening Mahakala prayer ceremony. This ceremony is practiced across Tibet and is used for protection against harmful spirits and mind-states. Day 3: After breakfast, we will travel to the a local permaculture farm. Here, we will explore the extensive vegetable gardens and learn about the biodiversity and ecosystem in this region. During our time here, we will get our hands dirty and learn first hand how food is cultivated in Nepal. Over lunch, we will have a chance to get to know the staff and hear about the ecological challenges that face this area of the world. During the evening, we will enjoy a dinner of locally sourced food while we decompress from our day on the farm. Our meal will be accompanied by a performance from local musicians, including an introduction to their instruments and south Asian musical theory. Day 4: In the morning, we will return to Thrangu Tashi Monastery where we will receive an introduction to Tibetan Buddhist philosophy and meditation. This monastery is one of the largest in Nepal and has trained hundreds of teachers now stationed all over the world. The rolling hills surrounding the monastery are breath-taking and a great place to spend time. While here, we will also visit the sacred Buddhist site where the Bodhisattva (Buddha-to-be) offered his flesh to a hungry tigress in order to save her and her cubs from starvation. This potent location is worshipped by Buddhists from around the world. Day 5: After a leisurely morning at the resort, we will travel back to Boudha where we began our journey. In the afternoon, we will visit the Shechen monastery and clinic where we will receive an introductory lecture on Tibetan medicine. Tibetan medicine is holistic in nature and is grounded in the same practices and philosophy as Tibetan Buddhism. This approach makes its healing modalities supportive for all people. After the lecture, we will have time to visit the monastery grounds and chat with the resident monks. Day 6: On our final full day in Boudha, there will be two options, including: a trip to Pashupatinath, the most sacred Hindu site in Nepal where pilgrims travel from all over south Asia to receive blessing; or a visit with local thangka (traditional Tibetan-style painting) artists who will explain their transformative art form. Both of these options will provide another view of Himalayan art and way of life. In the afternoon, we will engage in first-hand observation of Tibetan medicine at both the Shechen and Sowa Rigpa clinics. Each of these centers are vibrant expressions of Tibetan medicine. 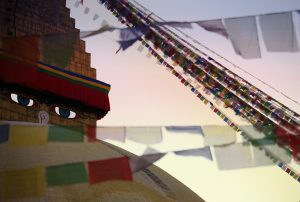 In the evening, we will return to the Stupa to make candle-light offerings, remembering those in need both near and far. Our day will end with a candle-light dinner overlooking the Stupa. Day 7: After a leisurely breakfast, we will travel to Patan, the next stop on our journey. Patan is one of three ancient capitals in the Kathmandu Valley and will provide an ideal backdrop to deepen our inquiry into the vibrant Himalayan arts. During the afternoon, we will be joined by renowned expert on Nepali history and art, Anil Chitrakar. Anil will walk with us through the Patan streets, illuminating the foundations and history of Nepali art, preparing us for our deep dive in the coming days. Day 8: On this day, we will visit with master artists: stone carver, Jaya Raj Bajracharya; and statue maker Gautam Shakya. This time will provide us unparalleled exposure to these brilliant art forms. Jaya and Gautam will walk us through the entire process of creating a finished work of art. Nepali art forms like stone carving and statue making have not changed for hundreds of years. In turn, they provide us with a glimpse back to time an era of simplicity and precision. Day 9: The morning of our ninth day will be spent in mini-internships with the artists we met the day before. We will have the choice to either try our hand at statue making or stone carving! 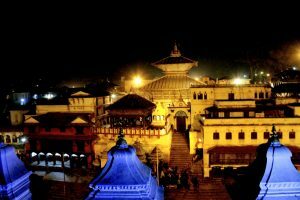 If this sounds too daunting, other activities include visiting the inspiring Patan museum or some of the local temples. In the afternoon, we will stroll through the vibrant bazaars of Patan. There may not be any area in the world better to shop for handicrafts! If you want to pick up early holiday presents or get a piece to commemorate your trip, this is the perfect time. Day 10: In the morning, we will travel to our fourth and final destination, Pharping. Set amongst the southeastern hills of the Kathmandu Valley, Pharping is a beautiful location that has been visited by pilgrims for centuries. On our way to our resort, we will stop off at the Arya Tara School, founded by renowned singer-nun Ani Choying Drolma. This school is one of the most vibrant educational institutions for young women in the greater Kathmandu Valley. Trained in traditional academic disciplines, as well as religion, performative and fine arts, these nuns are brilliant, dynamic, and deeply engaged in their education. After arriving at the resort, we will settle in and then take a short walk in the surrounding hills. In the evening, we will have our first cooking lesson, completing the introduction to farm-to-table cuisine in Nepal. After our hard work, we will kick back and enjoy our creations! Day 11: In the morning, we will visit the ancient meditation caves of Padmasambhava. In the eighth century, Padmasambhava stayed in Pharping for a number of months, perfecting esoteric forms of meditation. While visiting the cave, we will be joined by local Buddhist devotees who will provide some history to this larger-than-life figure. After lunch, we will continue our exploration of the surrounding area, hiking amidst the lush jungle found throughout this area. On our hike, we will be joined by a local ecological and botanical experts. Day 12: The final full day of our time together will be spent in nature, allowing time to solidify the bonds of the group, digest all the material we were exposed to, and prepare for our departure. Leading up to the end-of-program celebration, we will have our second cooking lesson and join together to create delicious offerings. In the evening, as we dig into the fruits of our hard work, we will enjoy a performance of traditional Nepali music. Day 13: After a leisurely breakfast, we will conclude our program by midday. Unless specified, participants will be automatically paired with another participant. Miscellaneous items, including, but not limited to: souvenirs, snacks, alcoholic beverages, etc. Cancellations made by April 22, 2020 (180 days prior to the program) will receive a full refund of any payment made to date, minus 50% of the deposit. Cancellations made between April 23 – June 21 (between 179 – 120 days prior to the program) will receive a full refund of any payment made to date, minus the deposit. Cancellations made between June 22 – August 20 (119 – 60 days prior to the program) will be subject to a penalty of 50% of the total course fee. Cancellations made on or after August 21 (59 prior to the program) will not receive any refund. The program will begin and end in Kathmandu, allowing for easy arrivals and departures out of Tribhuvan International Airport (KTM). If you are interested in arriving early or extending your trip, there are plenty of add-ons that you can easily include. Once registered, please send us a note that you would like to discuss options and we will help you craft the ideal itinerary. Please plan on arriving in Kathmandu for dinner on October 19 and departing after breakfast on October 31, 2020. All visitors to Nepal (minus the immediately surrounding countries) are required to procure a visa. You may do so on arrival at the international airport or at any port of entry. We will send information about this once registered. What will we eat? Is the water safe? Throughout the program, you will be provided nutritious and hygienic meals. Filtered and/or bottled water will be provided throughout the program. Do I need vaccines? Will there be medical facilities available should I get sick? Sacred Path strongly recommends visiting a travel medical provider prior to the program. We cannot make medical recommendations of any kind. If you should have a medical emergency during the program, Sacred Path staff will provide access to the best medical treatment available and assist participants should they desire to return home early. Hotels and/or guest houses throughout the program will be high quality, safe places to rest. Sacred Path prides itself in the strong relationships it has with local businesses. As with all of our programs, we limit the teacher/guide to participant ratio to 8-1. This is in service of creating an intimate and supportive container to explore this inspirational place. Can I keep in touch with my family and friends during the program? How can they get in touch with me in the case of an emergency? Sacred Path will provide contact information for participants to distribute to their loved ones to use in the case of emergencies. Most of the accommodations we stay in have wireless internet services that allow you to connect via mobile device. All food, lodging, and transportation (within the prescribed itinerary) is covered. In turn, you will not need much extra money. There will be ATMs available throughout the program to withdraw local currency. Credit cards are accepted at larger shops and hotels. We recommend contacting your bank to inform them of your travel plans so that your cards are not frozen. Yes, we will do our best to match you with the person of your choosing. Please specify this in your registration questionnaire. How can I offset my/our carbon footprint? A portion of the proceeds generated will be donated to The Arbor Day Foundation to offset the group footprint. If you are interested in doing so for your personal footprint, take a look at their presentation of how to contribute and make a difference!